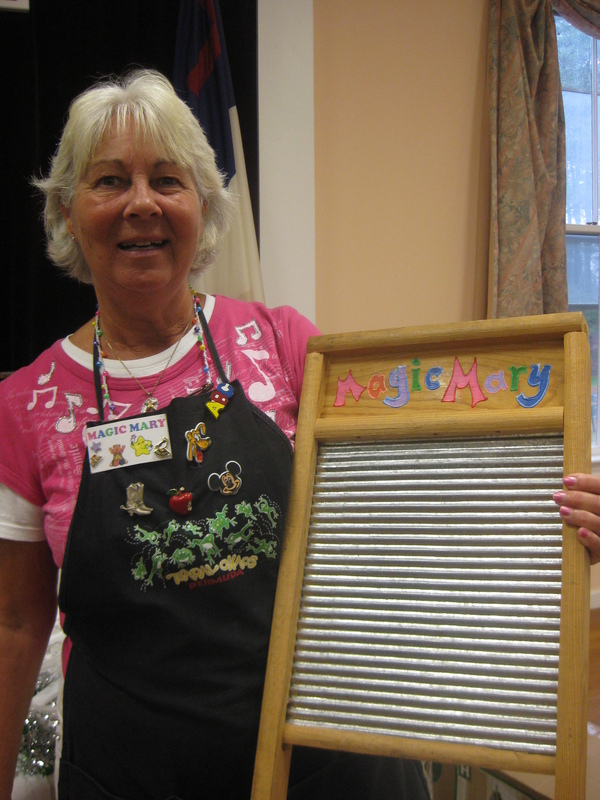 Play A Washboard – With Your Child! 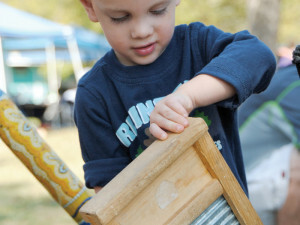 If you’re a parent with young children, you won’t be surprised to see that kids can be truly creative with the simplest items. A overturned pot becomes a drum, a scarf becomes a dancing kite, a box turns into a home for stuffed animals and a washboard can be used to make music! 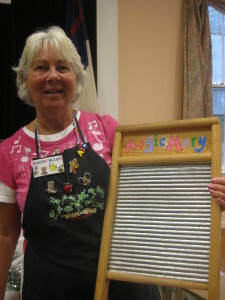 Although a washboard is actually used to make music in the Cajun South of the USA and in some “old timey” Americana music, it’s a great informal instrument to get young kids started with music and playing with rhythm. 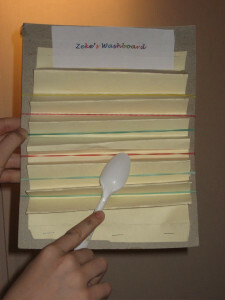 If you have one around the house (or at the grandparent’s house) then clean it up and bring it out. You can also look for a good buy at a yard sale or – if all else fails- check out my craft below and you can make your own kid-size version. What’s next? 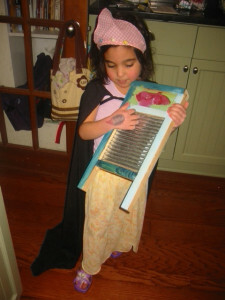 So how can you play with your washboard at home? You can show your child how to rub up and down, down and up or create patterns with how they brush an item up against the ridges of the washboard. 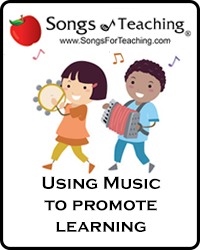 If you love to sing, you can pick a favorite song and your child plays along. Or trade places and you can keep a beat while your child sings. You can put on some lively music and play along. You can talk about whether the music is fast or slow or loud or soft and how you might like to play along. Or you can try some of the great props listed above for different sounds. One the best parts of homemade music play is that there is no “wrong way” to do it. 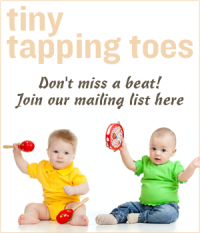 Let your child get creative and you may not only strike up a band but also a life-long love of music and creative play! At the very least, you’ll have a musically magical day! 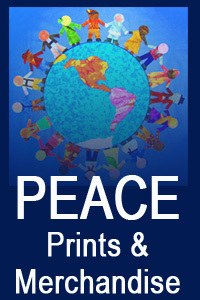 “I’ve been in Early Childhood Education for over 25 years. I’m currently the owner and Director of “Magic Music Time” and also lead Professional Development Trainings for Teachers and Directors. All of the props we use at “MAGIC MUSIC TIME” are made from recycled materials that the children can find easily in their homes. The props takes the focus off the children and persuade them to participate.